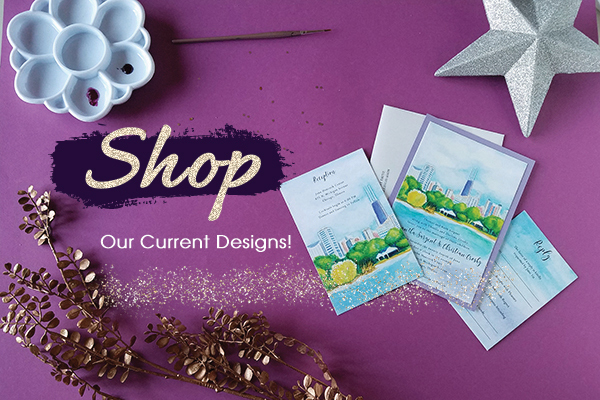 Starglow Studios creates unique invitations and stationery for weddings and other heartfelt celebrations. 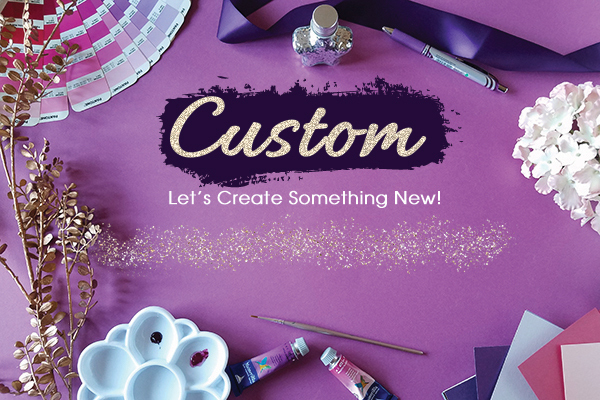 Choose from pre-made designs or let us work with you to design custom invitations that reflect your event’s style and personality and carry that theme through to coordinating pieces such as programs, menus, place cards and more. Starglow is an art studio featuring the hand painted color artwork and graphic design of Diane Donato. We believe that the first impression of your event should be beautiful, unique…unforgettable. Anticipation begins for the celebration that was months in the planning, years in the making. Life changing events that deserve attention, moments that need to be cherished, joy that needs to be expressed. “It was beautiful and unique- which is just what I wanted my wedding to be. I received so many compliments on the invitations. People actually wrote comments about them on the response cards and even mentioned them to me in the receiving line! I was so pleased with her work I used Starglow for the birth announcements of all three of my sons. Each time I wanted something different and each time I was more than pleased with how creative and special they were. Since then, I have used Starglow Studios for baptisms and other events. They have all been works of art! 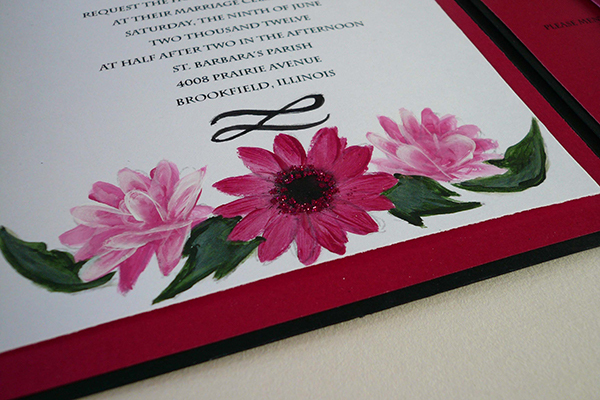 “After checking around I felt that Starglow was the best in quality, design and style of the all the invitations I had found. Diane gave me advice which saved me lots of time. The theme she helped create not only added a personal touch for me, but was a huge hit with my guests. 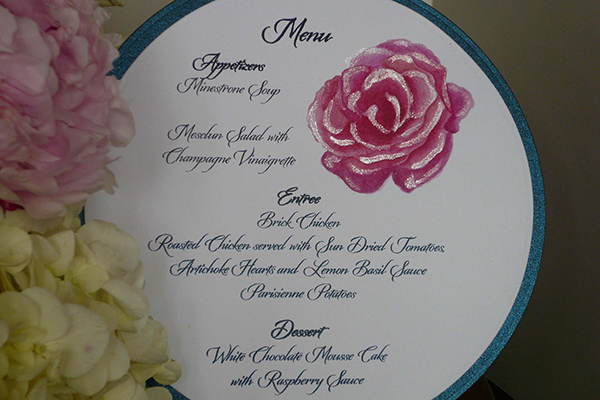 They raved about the invitation, the programs and the menus. I would refer Starglow to any bride.